Dan Frodsham’s Newcastle Surf School is the longest-running surf school in the Newcastle and Lake Macquarie area. 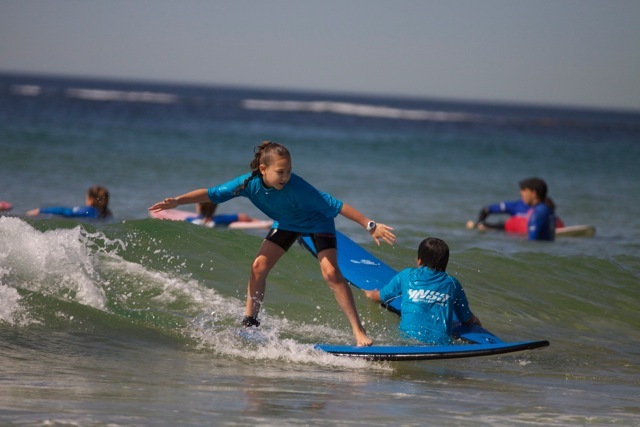 We cater for all ages and levels of surfing, from beginners to intermediates and advanced. The school operates all year round for daily lessons out of two great locations; Nobby’s Beach and Blacksmiths Beach. We are a permanent fixture at both beaches throughout the NSW school holidays. Lessons run for two hours and include soft/safe surfboards, wetsuits and sun shirts. All you need to bring is a towel, sunscreen, swimmers and an adventurous spirit! Perfect for getting out in the water for the first time and feeling the thrill of surfing. Maximum numbers per group is 12 people where we will have two coaches so you wont miss out on a wave.